Mordian 7th Regiment: Heresy Era Word Bearers - Argel Tal built! All of the various bits and kits I'd ordered to build Argel Tal finally arrived and I could get cracking on attempting to get a model that's been rattling around in my head for years out on to the tabletop! 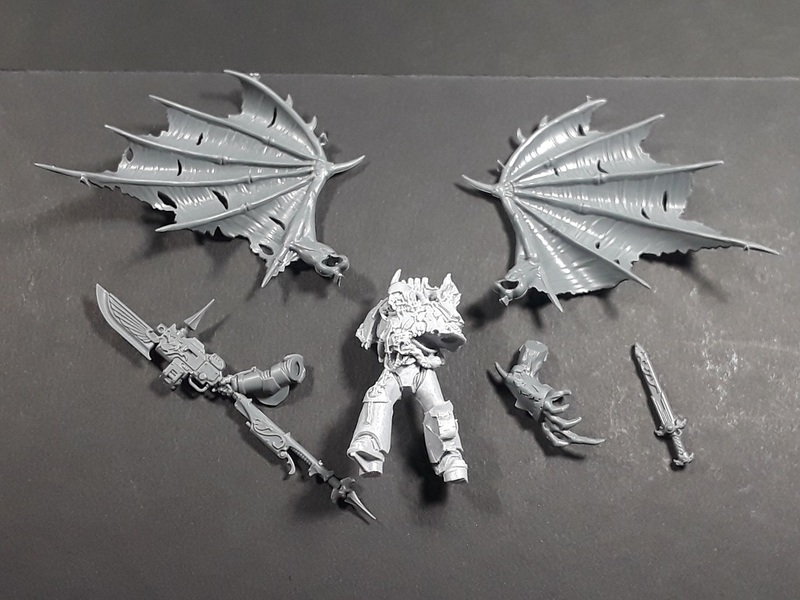 Vargheist wings, some custodes weapons, a possessed arm and a torso from the FW Gal Vorbak kit were laid out and dry fit to get a feel for what was going to need to be trimmed away - including the head to make way for one that more closely matches the description of a bestial face in the books. I was really jazzed by how the parts fit together - Had to trim down the wings a little and cut the two arms back from the shoulder a touch, but minimal greenstuffing was going to be required! 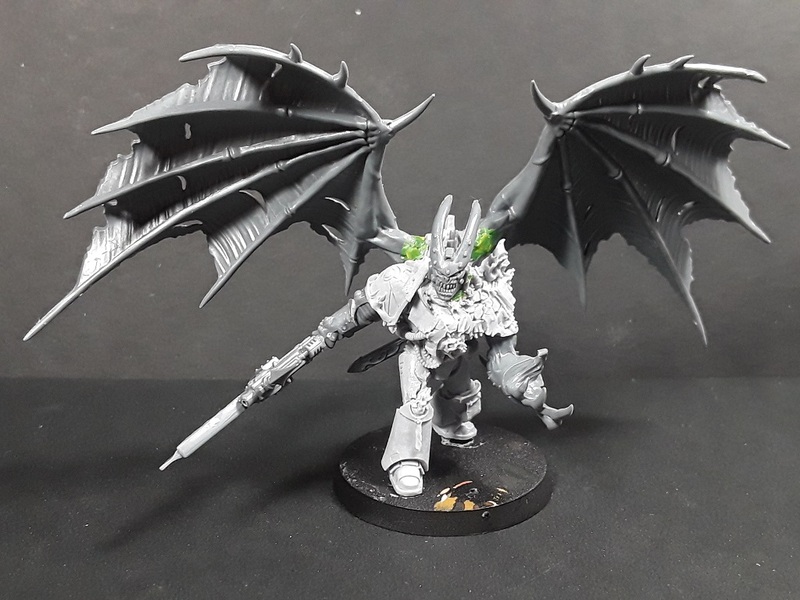 The wings are perhaps juuuust a touch too large, but I think it gives him a real sense of presence. 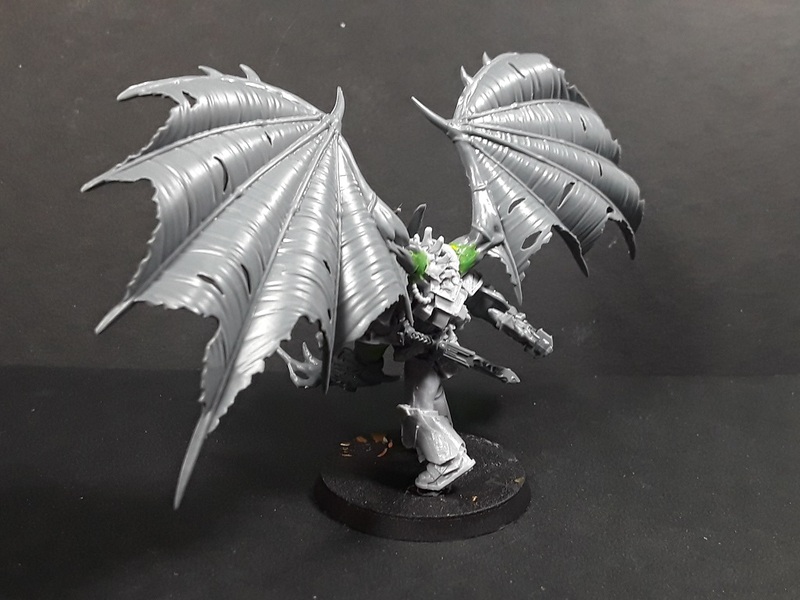 I'd test-fit a set of Dark Eldar Scourge wings which definitely looked anemic compared to the bulk of the model, and Hive Tyrant wings would have been massive. These worked out about as well as I could ask for! 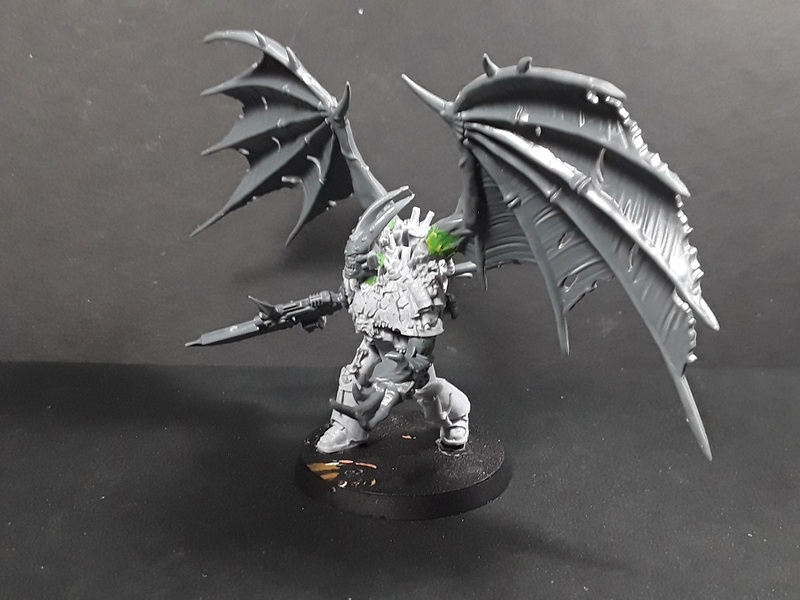 Tried to blend the wings into the pack and keep the organic look going, we'll see how it works out once I get some paint on him! The intent in-game is to run him as a Praetor with a jump pack, artificer armor, iron halo, and a master-crafted paragon blade and bolter to represent the Custodes weaponry. Not a perfect fit, but I figure most heresy players wouldn't mind! Nice! 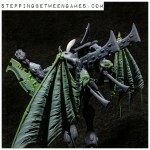 I think the wings do work - a really imposing figure. I imagine everyone would like to play against such a nice onversion, no matter the profile used. The Ruinious Powers will find this abomination worthy, I have no doubt. Argel Tal is so awesome I'd have been tempted to go even larger and run him as a Daemon Prince so I think you've shown remarkable restraint. I love it! Awesome! 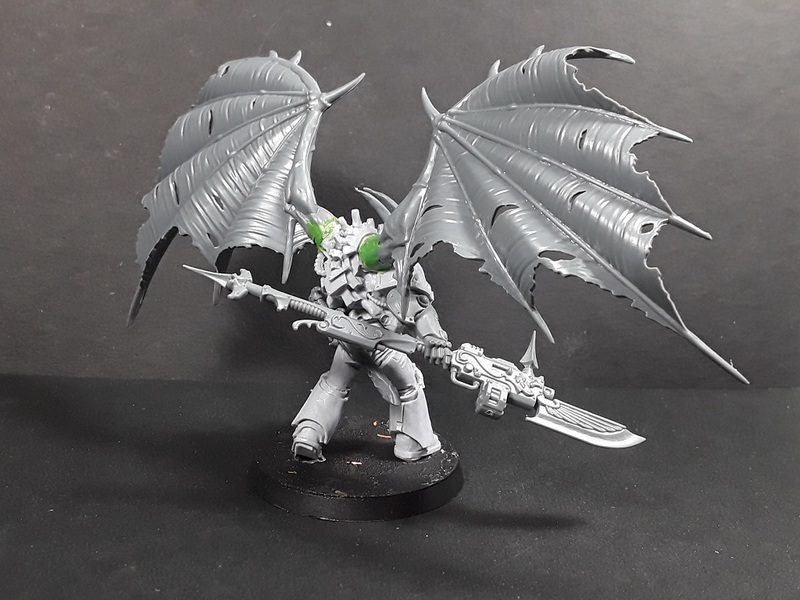 I think the wings look about perfect, honestly. He should be super imposing, and they'll definitely let him loom over whatever unfortunate Loyalist is about to get that blade in the neck. Thanks very much! 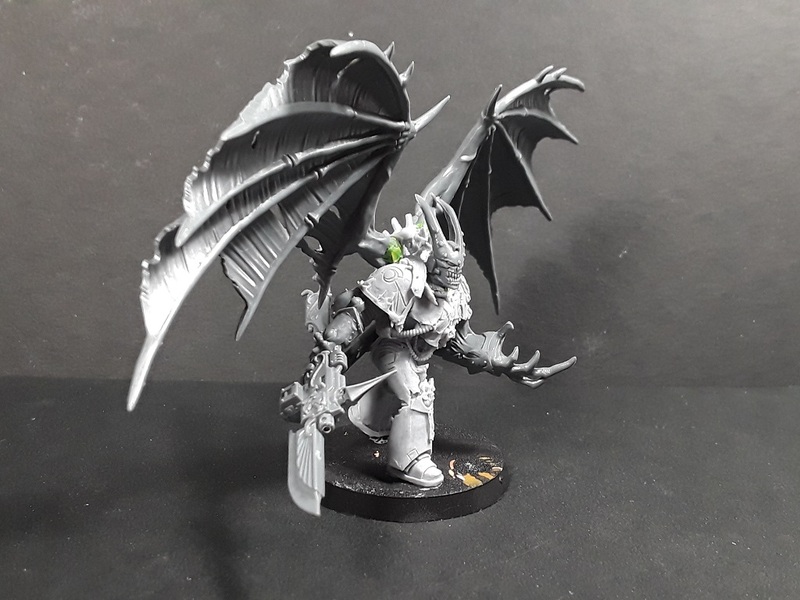 Now just gotta get his battle-buddy Kharn built! 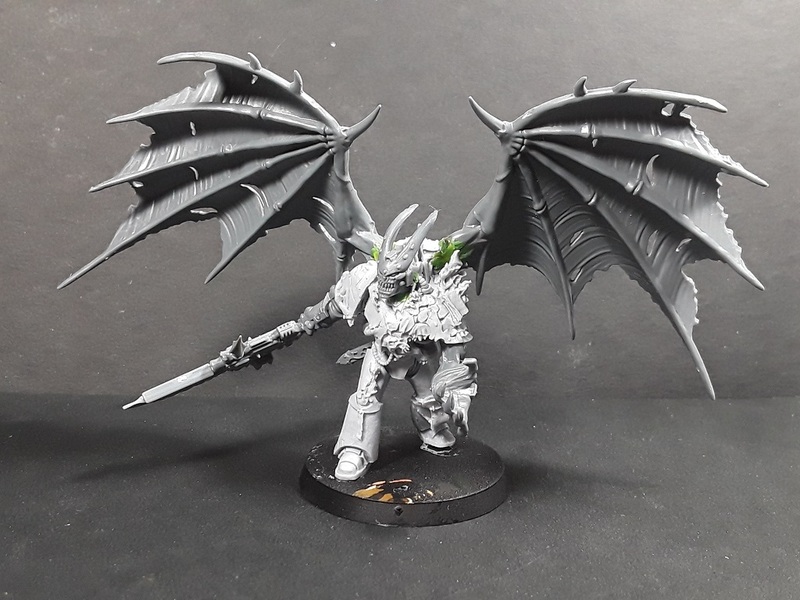 That looks great, the wings are perfect I reckon. Imposing Traitor Heretic Scum! Actually the wings look spot on mate. Too often winged models are sculpted with wings that don't look convincing enough to actually be able to carry the character aloft. These would give this bloke good short range (Jump Pack) bounds and limited hovering capability I think. Looks brilliant. A great conversion of an incredible character.